I'm excited to be guest posting today. I love being able to do this and meet new people and share a part of myself with all of you. As the new year is here, and we are all making goals, I decided to share what I have learned from years of running experience. Hopefully it will help some of you with what ever you may need. Weather that's motivation or a question answered. Let me start out by telling you a little about my running experience. I've been a runner since I was about 12 years old. I loved it from the start. I wasn't very good at it right off the bat, but it was such a great way for me to release stress and anxiety. I ran on my school team in High School and then, after graduating I continued to run. I ran my first relay marathon in 2008. I ended up running 20 miles of it. Then I took a break. I would run every so often when I felt like it, but no more than 5 miles. (That sounds like a lot to most people, but when I was used to running 10ish miles a day, 5 was pretty mild). After having my first baby in 2011 I stopped running. As much as I needed the sanity that I got from it, I just didn't have time and energy for it. I started running again after my second baby in 2013 and I did a few races that next year. I did pretty well in them, and it gave me the running bug all over again. September of last year I was diagnosed with onset asthma and so, once again, I'm working towards building my milage and speed. Trying really hard to make it back to my three mile mark so that I can run in more races. As you can see I've had a pretty fare amount of experience in this. I wanted to help others who are just starting or who are struggling to get back to where they want to be. So, here are a few of my tips for runners. 1. Find the right gear: First, the right shoes. There are some great running stores, who know that it's really hard to find the right pair of shoes if you haven't run in them, and they let you try them out at the store. I know that 26.2 is one store that lets you run on a treadmill with the shoes. Here in Utah, there is a fantastic, family owned running store called Runners Corner. I have been getting my shoes from them for years and they are fantastic at working with you and letting you try different shoes. I know that they are only in Utah though. Next thing you need to have is good, comfortable running clothes. I hate running in looses clothing. I just don't like the way long sleeves rub on my arms when they move. If you're not comfortable, you're not going to like running and won't be motivated to do so. Find clothes that fit, that you are comfortable in, that are breathable. Don't just find what you have in your closet that might work. Even down to the socks. If you're going to run with things like your phone, water, an inhaler etc...I suggest finding something to carry them in on your body so you don't have to hold them the whole time. My favorite thing to use is called a RooSport. You guys, I have three of these in my house! You clip them on your waste band. They clip on with a magnet. You forget that it's there. It doesn't move or get uncomfortable. It doesn't rub. It's the perfect size. I can fit my iphone with headphones in there. There are zipper pockets for things like money and keys. That comes in handy when you're running a race. If you're a runner, look into it. Seriously one of the best gifts I have ever gotten. You can get a roosport on Amazon here. 2. Find your perfect time of day: I say "your" time of day because everyone is different on this. I'm definitely a late morning-afternoon runner but because of my schedule I have to run first thing in the morning or after my kids go down for bed. That's really hard for me and I always talk to my husband about how much I wish I could run in the afternoon. He, on the other hand, is a morning person for work outs. If he waits to work out he feels like he's waisted a whole day. Every one is different, find what works for you. Even if that means running with your kids in tow or running on your lunch break. Find a time that you know you'll go running. 3. Set goals: They don't have to be goals like "I'm going to run a marathon". Just make small goals for yourself. Measurable goals. Goals like "I'm going to run for 10 minutes today." or "I'm going to go running three times this week." Those are goals that you're going to keep because you can see the progress and you won't feel like you're working for nothing. With those goals, track them. Find an app, make yourself a sticker chart. Some how make yourself accountable for those goals. One of my favorite ways to help me stick to my goals is to tell someone about it. Someone who cares and who will be excited about it for you. Someone who will ask you once in a while how it's going. If you can't think of someone who would do that for you, email me. Seriously, I will be your cheerleader. 4. Warm up: warming up and stretching were really hard for me to do at the beginning. I felt like I could do better by saving my energy and not warming up. But it's been proven to help. And It would have saved me a lot of trouble with injury. So just do it. It's worth it. 5. Listen to your body: This doesn't mean that every time your mind says that it's too tired to run, you don't go. This means when you're hurting and you need to give yourself a recovery day, do it. Again, I would have saved so much trouble with injuries in high school if I'd learned that the first time. You don't want shin splints, and you do Not want a stress fracture. It's not fun to be in that much pain. So when you feel your body getting really worn down, give yourself a day or two. No more than that. Ice your legs, stretch, relax and get better so that you can preform better. (That doesn't include your muscles being sore from the day before. There's a difference). 6. 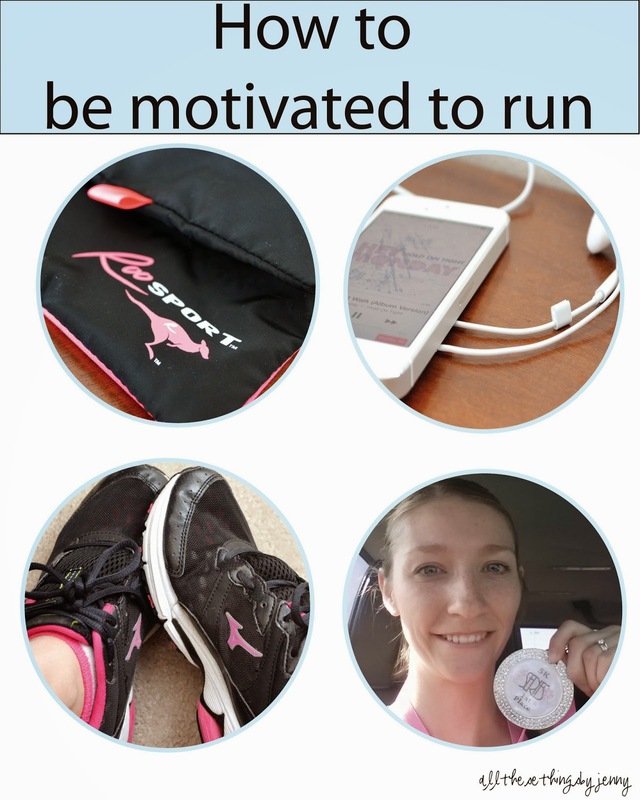 Find motivation: I have a couple of favorite quotes about running. I don't know who said either of them but they are both exactly how I think every runner feels. The first one is "If you would have went running when you first started thinking about it, you'd be back by now." The other one is "The hardest step for a runner is the first one out the front door." Because these are both true, you need some kind of motivation to push you along. Find a running buddy, Find some good pump music. Sometimes listening to a book on tape helps more than music. What ever you do, don't get lazy and don't give up. Keep going, because if you stop, you might not start again. Here is a short, kind of funny, story about what motivated me in high school. As I mentioned before, I ran off of stress and anxiety. One of my coaches caught on to this. He noticed that I did a lot better in my races if there was something driving me. I was just coming off of a back injury and I wanted, so bad, to run the 800 meeter (2 laps around the track). He told me that because I had been injured they weren't going to put me in that race, just a few races that would keep me moving but not pushing too hard. I was livid. I'd been working so hard to get back and they weren't going to let me run my race. He let that brew inside me for an hour or so and then came and said that I could run it, if I promised to PR (personal record). I promised him that, and I did it. I cut almost 7 seconds off of my time that day. After a season of this happening, I realized he was sometimes doing it on purpose. It worked. It drove me further. So if it helps you to think of all the things that make you mad, do it. Run all of those things off until you feel like they are no longer problems. I'm telling you, when you're done running, you'll feel that light feeling, the happy runners high everyone talks about. I'm always looking for new running gear, what are some of your favorite things to run with? Anyone have a great running playlist? Please share below. "Come What May, And love it"
This is a personal blog. All opinions are my own. The pictures and content on this blog are my property. Unless otherwise stated, it is illegal for anyone else to use them for their own content. I am an Amazon Affiliate and an affiliate for Shareasale.com. Some posts may contain affiliate links that help me keep blogging. **I am not a personal trainer, running coach or doctor. I'm just a mom who loves to workout, stay fit, and wants to share my experiences and many other things with others. Copyright © 2019 Running On Life All Rights Reserved. Running On Life.. Simple theme. Powered by Blogger.